We're talking skincare today! 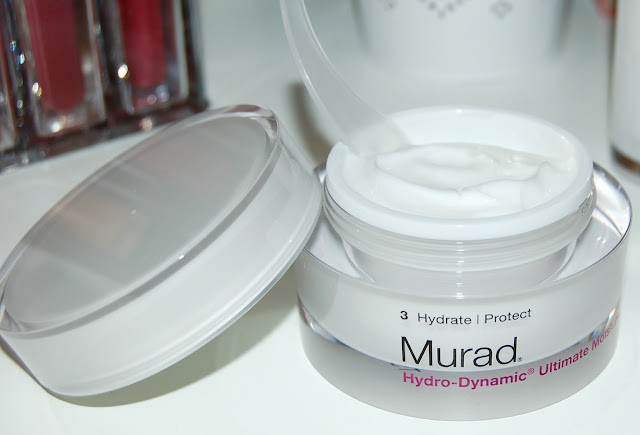 My skin is just starting to get back to normal from it's crazy dryness this winter and that's because of 2 amazing moisturizers from Murad from their Age Reform line. The Hydro-Dynamic Quenching Essence and Ultimate Moisture. For some reason my skin this this winter has been especially dry and flaky. I absolutely love both of these products individually but especially together! The Quenching Essence is more liquidy and light and feels almost cooling on my skin. The Ultimate Moisture is thicker yet feels velvety going on the skin. You can use these products day or night but since I prefer my day moisturizers to have an SPF, I reserve these moisturizers for my evening skincare routine. On the nights that I don't use my prescription retin A, I use these moisturizers. I first apply the Quenching Essence and let that soak in for a few minutes and then I apply the Ultimate Moisture. I also apply both of these on my "spa nights" after I apply a mud mask. On nights that I'm feeling lazy I'll skip the Quenching Essence as I've found that the Ultimate Moisture can sometimes be plenty hydrating. 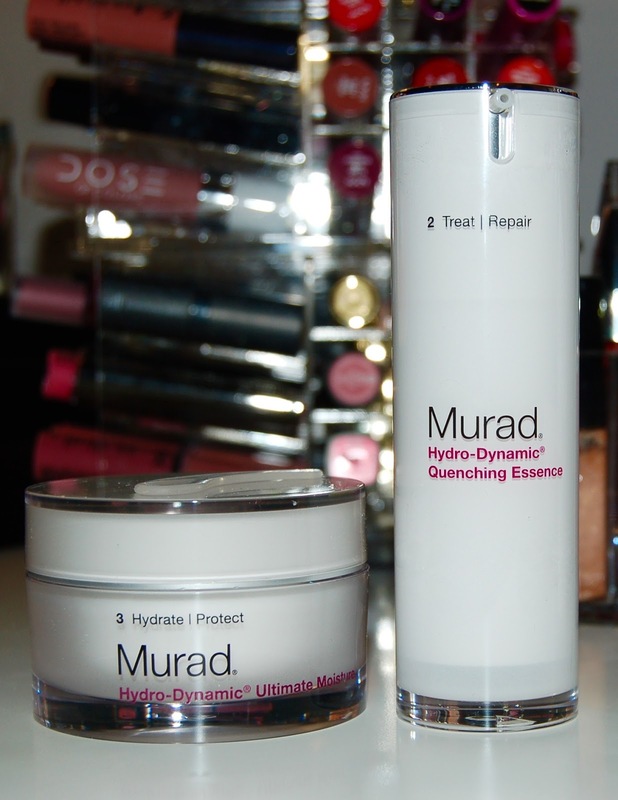 The Murad Hydro-Dynamic Quenching Essence & Ultimate Moisture cost $78 and $72 respectively. I know that's a bit steep so if you only want to splurge on one item, I'd say to go for the Ultimate Moisture. They can be found anywhere that Murad products are sold.